5G networks are still a pretty new concept but that isn’t stopping Samsung from developing a 5G variant of the Galaxy S10. According to a new piece of information, though, the upcoming flagship won't be using Qualcomm-branded chips. Rather than ordering extra processors and modems from its rival, Samsung is reportedly in the process of developing its own 5G-compatible communication processor. This is being developed specifically for the Galaxy S10 and would allow the South Korean giant to use its own chips. Thus, the 5G variant of the Galaxy S10 will most likely arrive with Samsung’s newly-announced Exynos 9820 and the Exynos 5100 modem. For those unaware, the Seoul-based company's 5G flagship is currently expected to launch early next year in the US, China, and Samsung's home market. Historically, these three markets have received Qualcomm-powered Galaxy handsets. Which is why the original expectation was that the device would be powered by Qualcomm’s upcoming Snapdragon 8150 and the Snapdragon X50 modem. 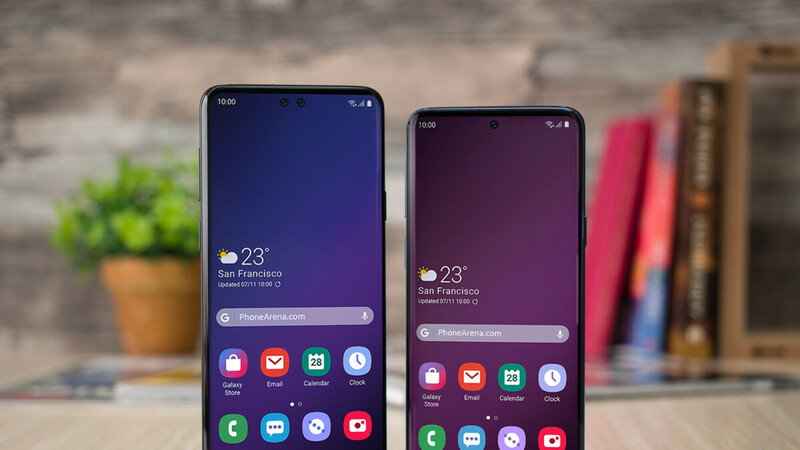 If Samsung does move forward with an entirely in-house solution for the 5G Galaxy S10, it could be a pretty big move for the company. After all, it would reduce the company's dependence on Qualcomm in key markets and could even pave the way for future Exynos-powered 5G-ready Galaxy smartphones in the US and South Korea. Wouldn't be surprised if the new Samsung chip become a top chip in benchmark but mediocre in real life. It will probably be worse than Qualcomm and much much worse than Apple's chip. What are you saying? The Samsung products including network modems don't deserve any trust? What do you know about the performance of this chipset? When you say these foolishness, you think 2 times before you say that? You already have a phone with this processor and the respective modem to calculate its performance? He made an educated guess. Which you don't seem to have the capability to understand. You seem new to mobile processor tech (maybe) so I get why you would argue against it. Well Samsung with the S6 used their own Exynos and Modems here in the US when they skipped over Qualcomms 820 chip which QC lied and claimed didnt have heat issues. But did! Those S6 models did just fine. Samsung makes all kinds of chipsets. Modems, SoC, GPU, ram, internal storage and so.mich more. They have plenty of experience in this field Both of you are uneducated. The fact you even agreed with him shows pure foolishness. How do you know is a 8 nm processor? Or won't be a 7 nm processor? Well but the 2 principal cores are M4 is what interests, based in A76 architecture. Possibly will be better than Apple A12 at least in multi core and perhaps similar in single core, because iOS is not heavy and complex like Android. I know it will be an 8nm processor because Samsung themselves announced the 9820 and said it will be built on an 8nm process -_- And iOS being simpler than Android has nothing to do with 9820 scoring more. That's just stupid for you to say. Next time, research before you comment. And you joined just about a month ago, which suggests you don't know much about chips. Your posts show that too. I since 2003 i visit and enter in Phone Arena site for that i don't need no evaluations of what i know about technologies of the chips and processors, got it? Which chip are you referring too? Because the article was talking about the modem. How can goi make such a claim with no facts? I mean do you have a device with this hardware? Because if you dont, that means you pulled all you said out of your @$$. And based on facts, the Ontel .odem is worse than Qualcomms and the latest iPhones with chipzillas solution are having major connectivity issues. That is usually a bad idea. off-SoC modems usually have really bad battery life. If you need any proof, check out the reviews of the Galaxy S6 US variant(which used a separate CDMA modem). I'll wait for the on-chip 5G modem. Let's see how it turns out though, and what qualcomm does. Next year sure is going to be interesting in CPU tech, with Apple battling Moore's law, Intel delivering 10nm (hopefully! ), 7nm desktop GPUs, and AMD zen 2. The S6 was 3 years ago. So you saying that csnt learn in 3 years how do do. Etter? Samsung makes better hips in lots of products year after year. Intel has been making chips since the 70s. Yet the modem they sold Apple works like garbage and is slow. Wake up dude. Wrong. Fake news. No journalistic integrity, ethics or regard for truth over lies. What we all have come to expect from sites like this. On a serious note, how would this work with Sprint and Verizon in the U.S., both of which use CDMA -- which I thought was patented and licensed by QC? Was there a recent lawsuit that allowed the fair-sharing of tech to give Samsung access to CDMA SoC abilities? Or did Samsung always have the right to do this and simply chose QC for its stateside phones? Fact - you can support CDMA networks without using QC hardware. It's just harder to have 100% compatibility, as we saw with the S6. But they still worked. Facts showed the modem Smsung used in the S6, worked harder on CDMA networks like Sprint and VZW. It caused more battery drain as the model struggled with compatibility. But they worked. 3 years later am sure Samsung ca. Improve their tech. After all the US is not the only country where CDMA exists. China Mobile uses it too. And eve though the modem Samsung uses in China is QC, they have used their own there too. QC is the only company that has chips that are 100% CDMA compatible. However that doesnt mean no one else can make CDMA compatible hardware. Its just with QC, it wont be 100" compatible. Well, iPhone XS/XR show it is compatible enough for most people. 1. Both Intel and Samsung modems are now CDMA compatible, this is why the iPhone XS/XS MAX/XR for Verizon and Sprint use Intel modems. 2. Samsung signed a 25 year agreement in 1993 to not sell its own modems in the US until 2018. That agreement expires this year, freeing Samsung to sell Eyxnos modem equipped phones in the US. Biggest of all they won't be boot loader locked like Qualcomm so finally a root able Samsung flagship in the states again!